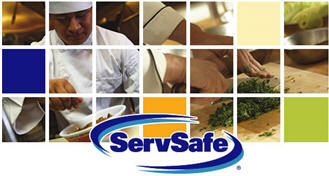 To assist food service establishment in obtaining compliance, the Richmond County Health department offers a voluntary** two-day ServSafe course & exam. The Cost is $190.00, which includes textbook, classroom instruction and examination testing by Certified ServSafe Instructors/Proctors. NOTE: OUR CLASSES ARE MOVING TO WEDNESDAYS AND THURSDAYS, BEGINNING IN JANUARY OF 2019. WE ALSO NOW OFFER ONLINE TESTING. WE HAVE AN ONLINE PROCTOR ONSITE. THE FEE IS $75.00. Call (706) 667-4234 to schedule your online test. 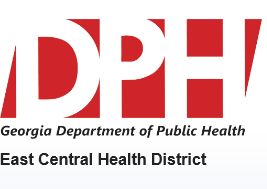 Make checks payable to Richmond County Health Department and bring them to the Environmental Health Office, located at 1916 North Leg Road, Building K, Augusta, Georgia 30909, (706) 667-4234, to obtain your textbook and diagnostic test. The training Location site is: East Central Public Health District, 1916 Northleg Road, Training Room, Bldg D, Augusta, GA 30909. Training Locations and class dates are subject to change based on actual registrations and customer needs. ** You may obtain this training elsewhere. The Georgia food code allows you to select from various certification training providers (not solely from the Local County Health Departments) to meet your CFSM qualification training and testing requirements.